I have had such a full and rewarding life that I don't have much of a bucket list. I've never desired to swim the English Channel or climb Mt. Everest, but I have wanted to visit the Baptist Church in Plains, Georgia, and sit in on former President Jimmy Carter's Sunday School class. Considering his age and mine, and the announcement this week that he has melanoma that has spread to his brain, I'm not optimistic about fulfilling that desire. Gerald Rudolph Ford, Jr., the only sitting president I ever met, and James Earl Carter, the president whose faith and lifestyle I most admired, rarely make the "Best Presidents" lists. But, if there were lists of "Presidents Most Known for Decency and Integrity," Ford and Carter would make them every time. One Republican, one Democrat, two decent and honorable men. Ford, acting to end our "long national nightmare," pardoned his predecessor in an unpopular act that may have cost him a second term. 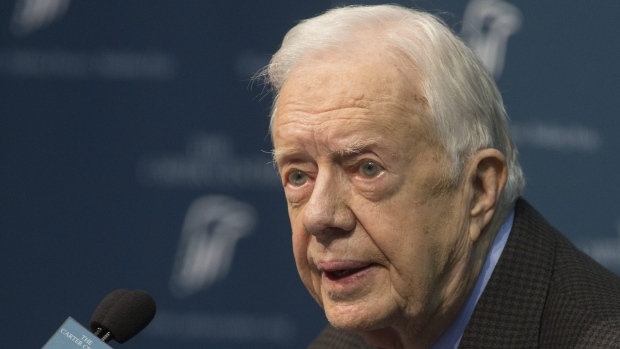 Carter may have lost his second term because of an ill-planned effort to rescue Iranian hostages. Ford's best friend on the University of Michigan football team was an African-American named Willis Ward. When Georgia Tech refused to play against a black athlete, Ford also refused to play, and only relented when Ward begged him. That act of decency and fairness was typical of Ford's life. I am acutely aware that you have not elected me as your president by your ballots, and so I ask you to confirm me as your president with your prayers.... [L]et us restore the golden rule to our political process, and let brotherly love purge our hearts of suspicion and hate. One month later, President Ford was on television again, this time to announce that he was giving Nixon "a full and unconditional pardon...." Ford referred to the Nixon tragedy as something that "could go on and on and on, or someone must write the end to it. I have concluded that only I can do that, and if I can, I must." Americans of every political persuasion were moved by former President Jimmy Carter's announcement that cancer has spread to his brain. There were more lines on his face, less hair on his head, a more pronounced stoop in his shoulders, but the toothpaste-ad smile and the optimism behind it were there as always. There were more lines on his face, less hair on his head, a more pronounced stoop in his shoulders, but the toothpaste-ad smile and the optimism behind it were there as always. Soon to be 91, Carter has led a full life, including graduation from the U. S. Naval Academy as a nuclear physicist, qualifying to be a nuclear submarine crewmember, leading the U.S. team of joint U. S. and Canadian servicemen to shut down a nuclear reactor to stop a partial meltdown, elected to the Georgia State Senate, elected Governor of Georgia, and elected to the presidency of the United States in 1976. In what is often described as a "failed presidency," Carter had some notable successes. His passion for peace led to the signing of the Camp David Accords by Carter, Israeli Prime Minister Menachem Begin, and Egyptian President Anwar El Sadat in 1978, and the SALT II treaty with the USSR in 1979, signed by Carter and Leonid Brezhnev. Carter's proudest achievement after his term ended was the establishment of The Carter Center in Atlanta in 1982 which became the base for his international benevolent and peace efforts. A project close to the former president's heart is the eradication of Guinea Worm Disease, a parasitic disease caused by drinking contaminated water. It is now known to exist in only four African countries. The number of known cases dropped from 3.5 million in 1986 to 126 in 2014 to 15 currently. Asked about his future with cancer, Carter smiled and said, "I just hope the last guinea worm dies before I do." 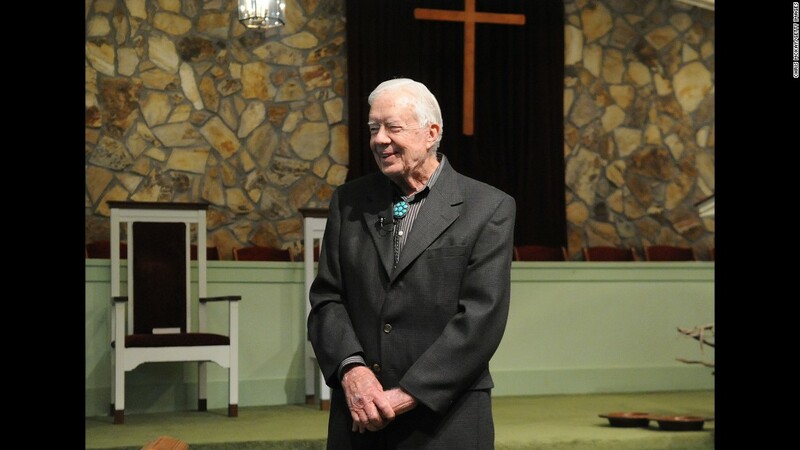 Commenting further on what he can expect, Carter said, "I've had a wonderful life, I've had thousands of friends, I've had an exciting, adventurous, gratifying existence. I'll be prepared for anything that comes." "Encouraging Words" is not about politics, but it is about people, some of whom are politicians. 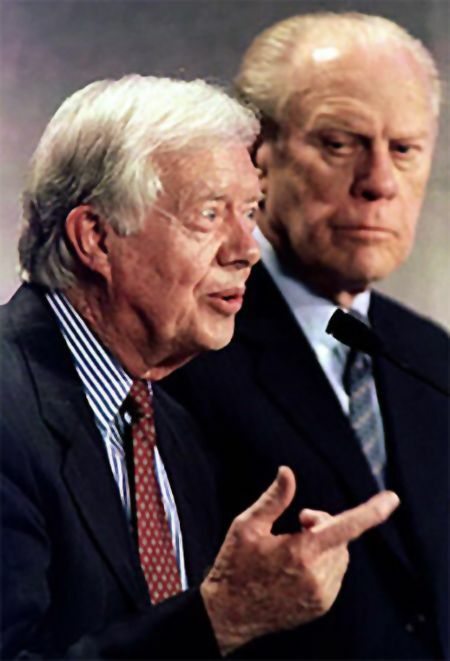 Both Gerald Ford and Jimmy Carter were much maligned, one-term presidents whose honor and integrity far overshadowed even their best accomplishments. Through good times and bad, and good and not-so-good presidents, our nation endures as "one nation under God, indivisible, with liberty and justice for all." May it ever be so. "Ready for Anything That Comes" by Phillip Morrison is licensed under a Creative Commons License. Heartlight encourages you to share this material with others in church bulletins, personal emails, and other non-commercial uses. Please see our Usage Guidelines for more information.